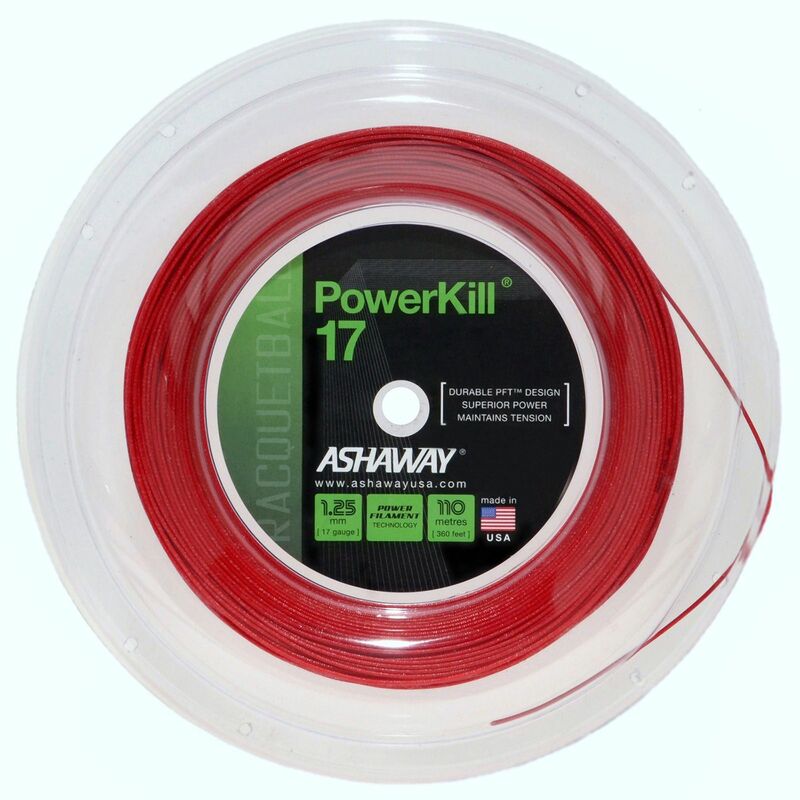 The Ashaway PowerKill 17 is a multifilament racketball string with a gauge of 17 (1.25mm). It is designed to provide a great feel and improved control and uses Power Filament Technology™ (PFT™) to enhance durability, increase tension holding and ensure explosive shot power. The string is suitable for power players and string breakers and comes in a 110m (360ft) reel. for submitting product information about Ashaway PowerKill 17 Racketball String - 110m Reel We aim to answer all questions within 2-3 days. for submitting product information about Ashaway PowerKill 17 Racketball String - 110m Reel. We aim to answer all questions within 2-3 days. If you provided your name and email address, we will email you as soon as the answer is published. for submitting product review about Ashaway PowerKill 17 Racketball String - 110m Reel.